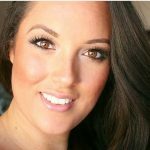 This post contains affiliate links for your convenience. If you decide to make a purchase through one of my links I will make a commission at no additional cost to you. 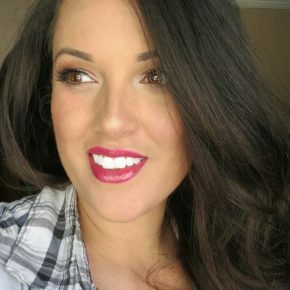 See my full disclosure policy here to learn more. Thank you to Oriental Trading Company for providing me with some of the items listed below. 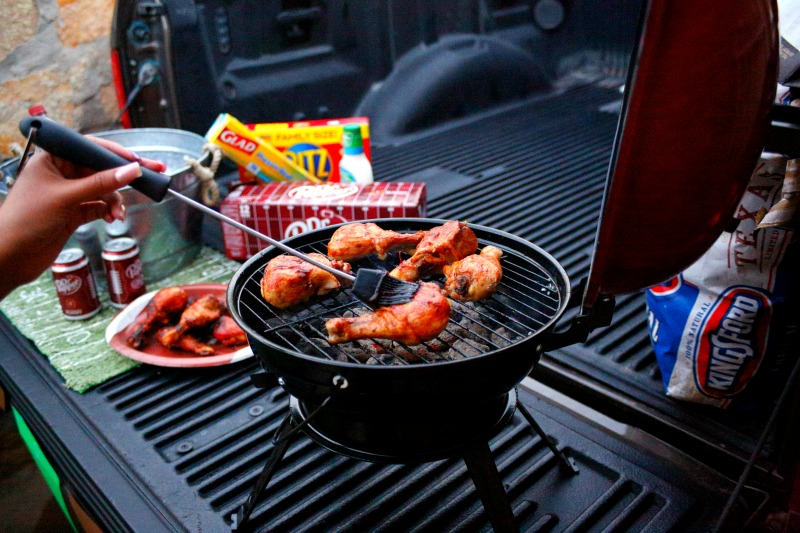 I love Sundays. We get to relax, enjoy each others company and watch football! 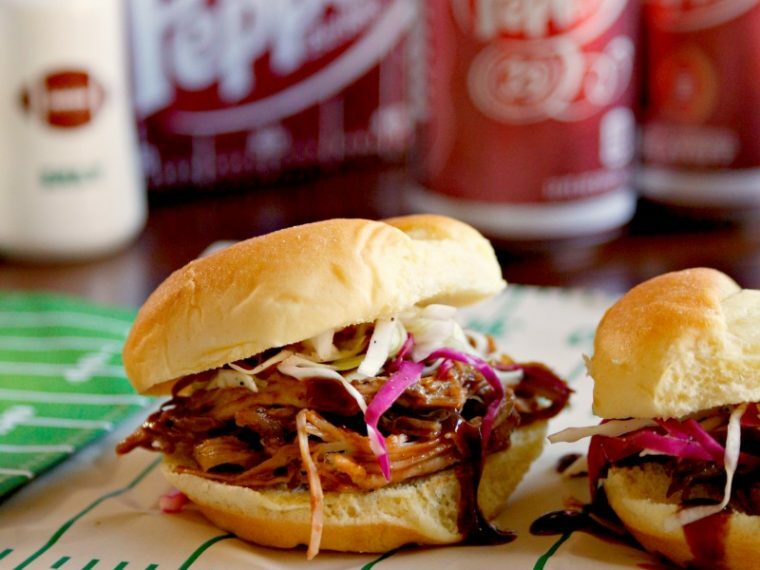 If you're anything like us, then you like to snack while you watch the big game. 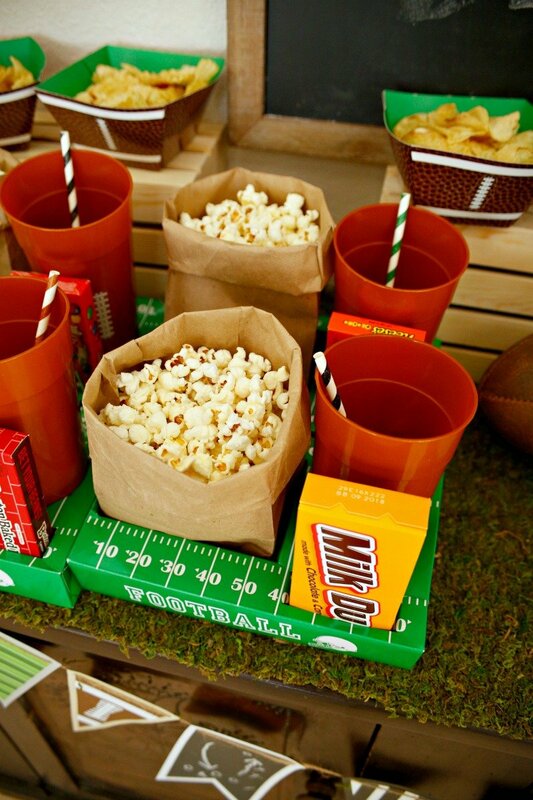 I like to set up a football snack bar for fun and convenience. 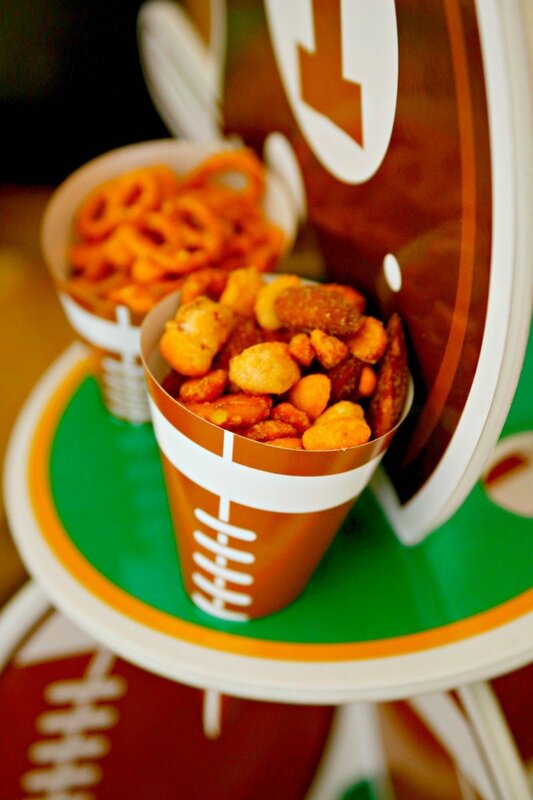 Aren't these football snack trays from Oriental Trading perfect? 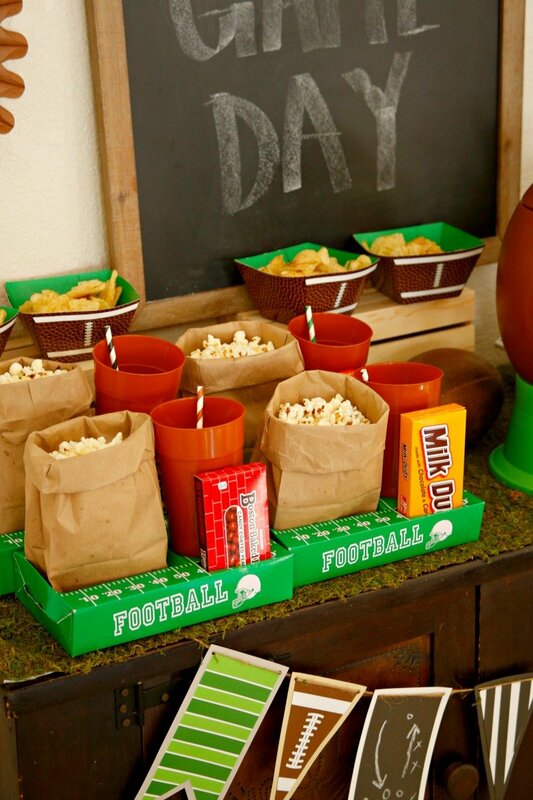 They have spaces to hold a cup, a box of candy, and a bag of popcorn. We LOVE popcorn at my house. 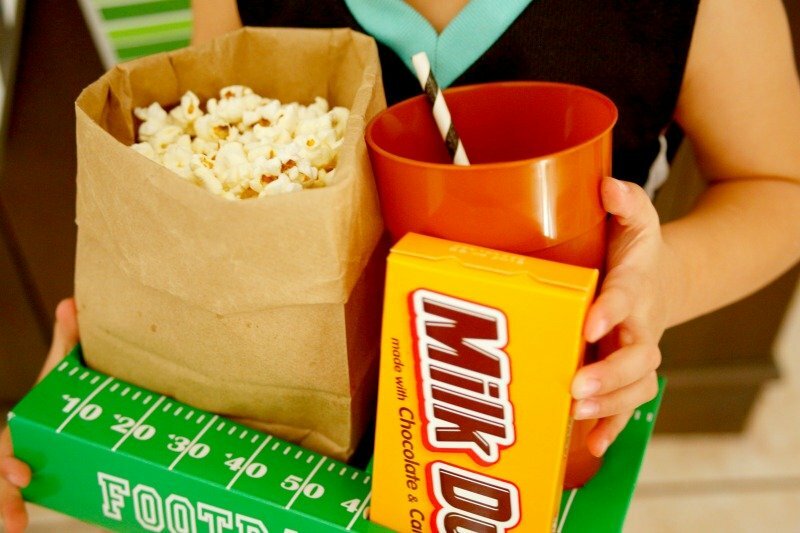 Check out some of my favorite popcorn recipes: buffalo caramel popcorn, apple candy popcorn, and barbecue popcorn balls. 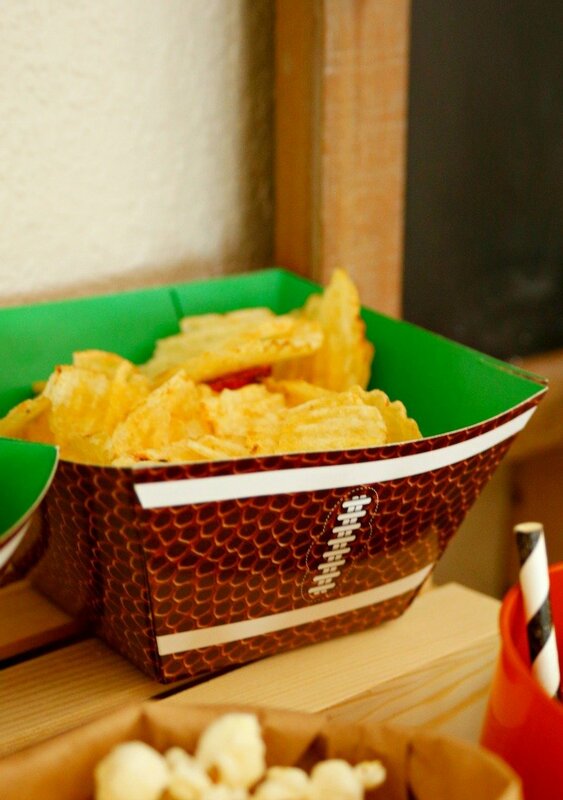 I put a variety of chips into football paper bowls propped up on wooden crates behind the snack trays and right in front of the chalkboard. When I saw this snack stand on Oriental Trading's website, I had to get it! 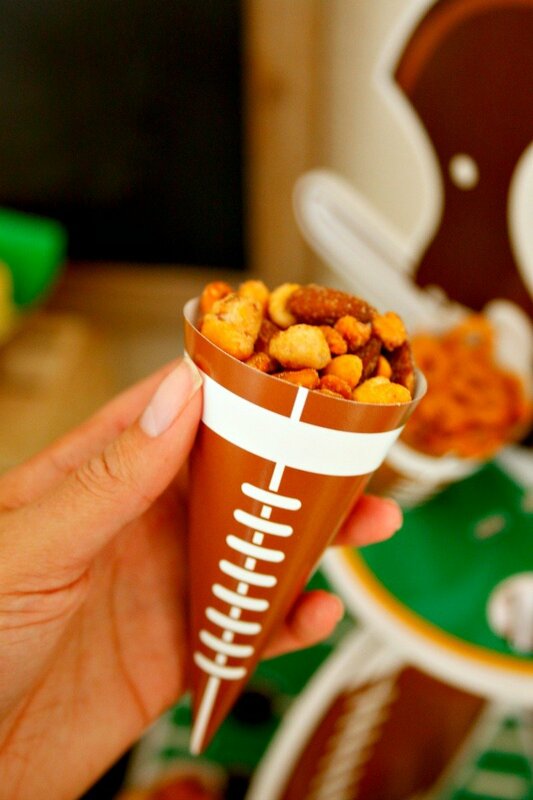 I filled the adorable football paper cones with a snack mix of nuts and pretzels. Wow, that's a lot of salty snacks! 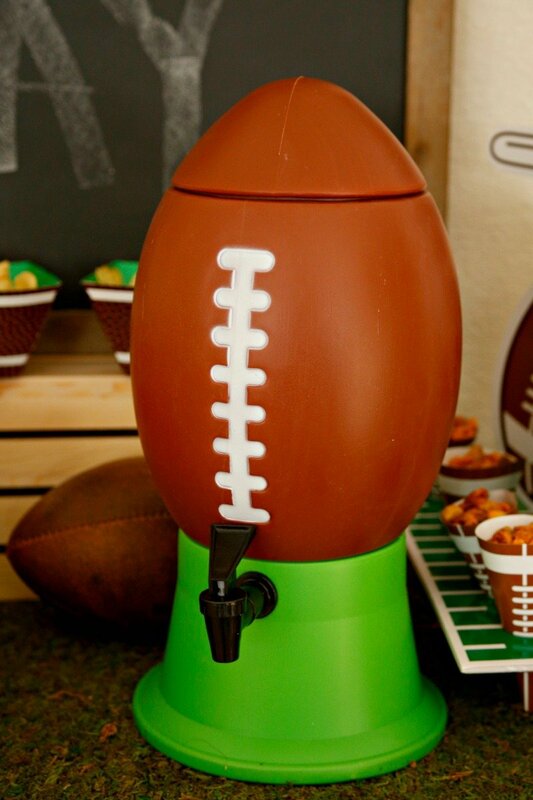 Better wash it down with something tasty and refreshing in this crazy cute football drink dispenser. 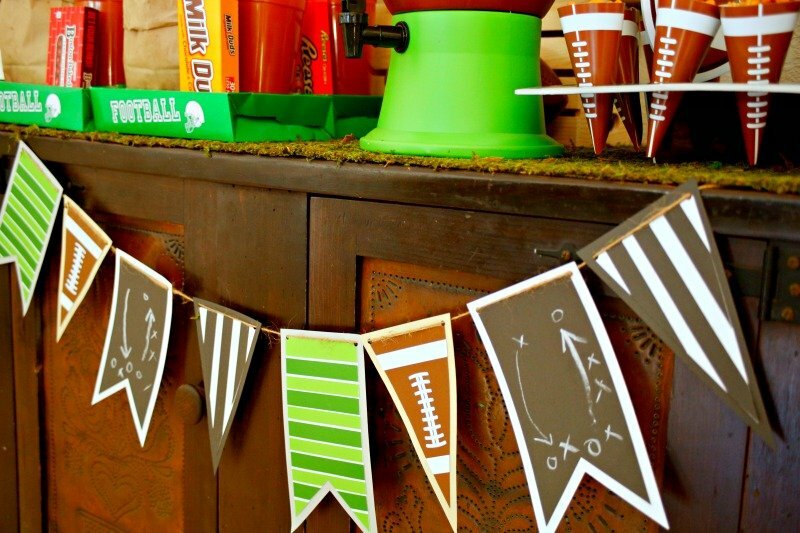 I made this football banner using my Cricut Maker. 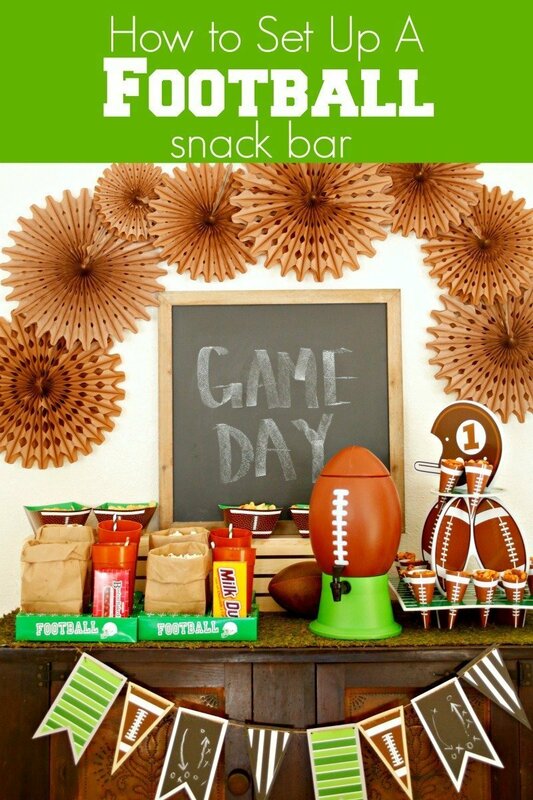 If you have a Cricut cutting machine, this project is ready to make here. 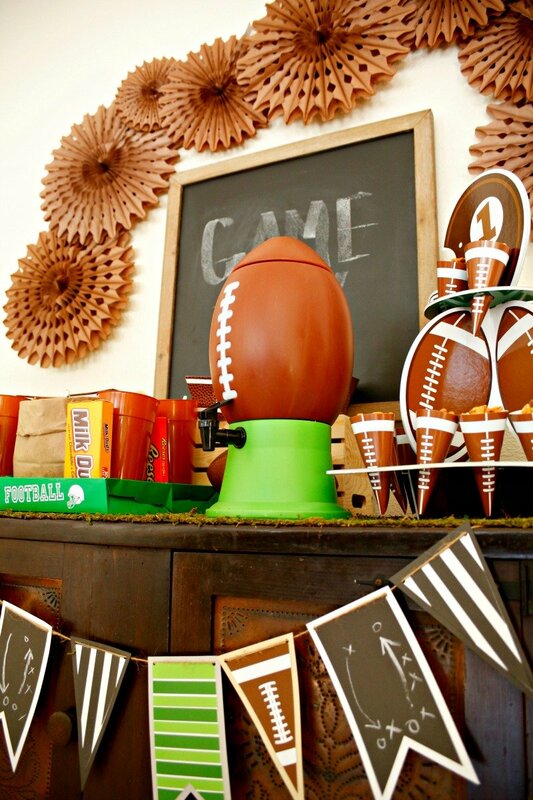 I also used brown paper fans from Oriental Trading to decorate the wall behind the snack table. 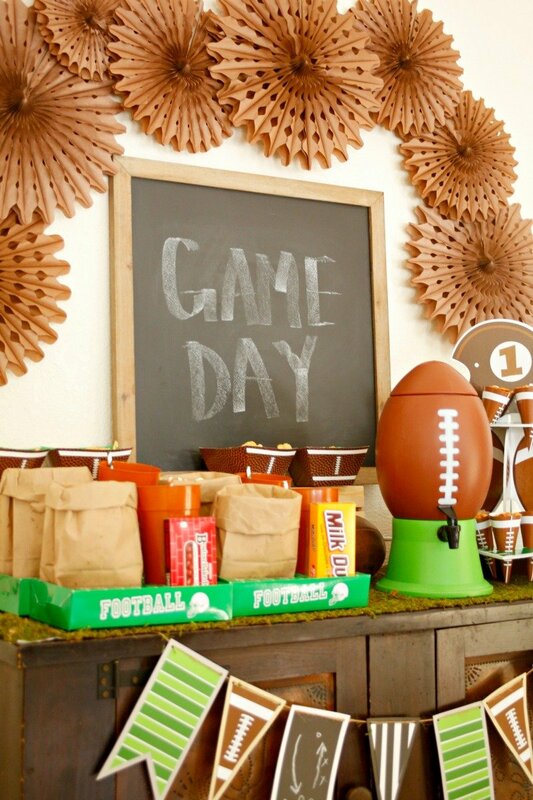 Not only is this setup perfect for game day, but it works well for a football themed birthday party too. 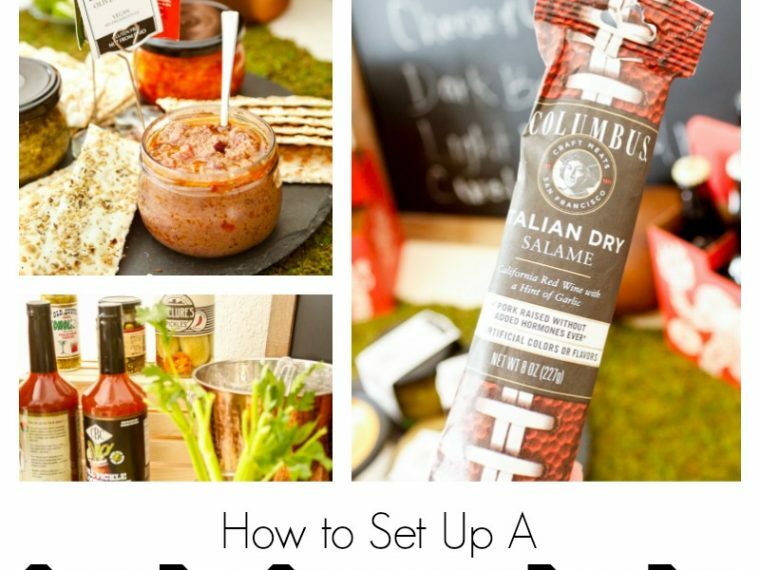 Here's what you need to recreate this party. 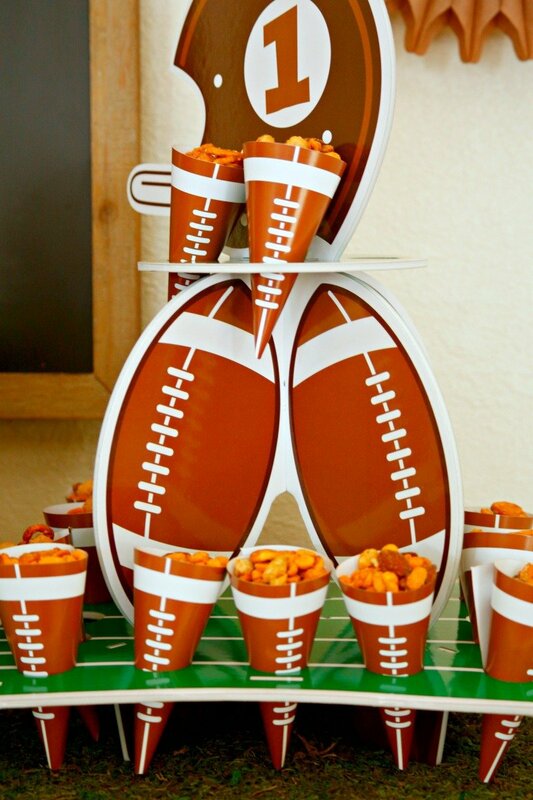 This is just a very small fraction of the awesome football party gear that Oriental Trading has available. 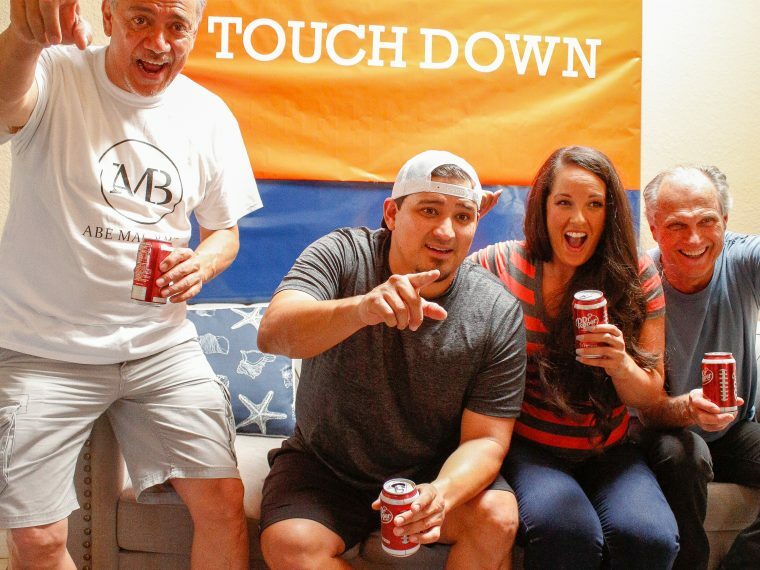 Head over to their site to find more, including items specifically for your favorite NFL teams. 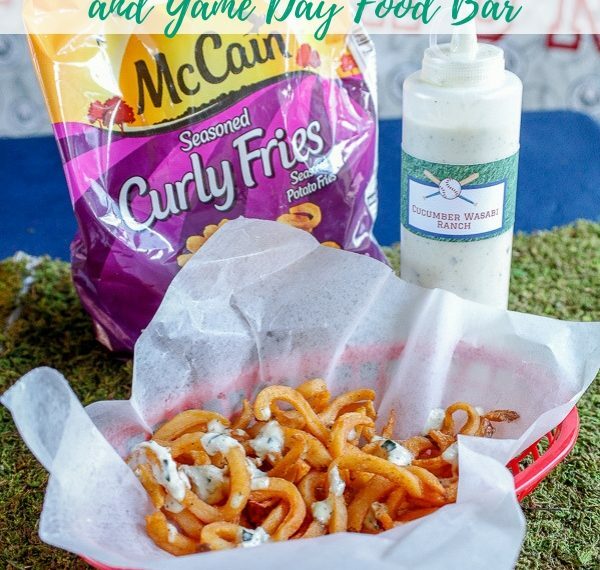 What will you serve on your football snack bar?